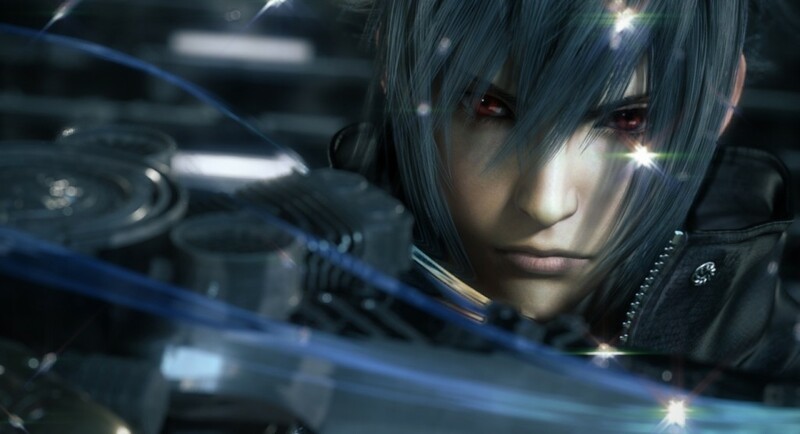 As an addition to yesterday’s news that Final Fantasy Versus XIII would in fact be at Tokyo Game Show this year, the interview from this week’s Famitsu has been posted in its entirety. Initial comments: Development is advancing smoothly though a lot of technical issues prevented it from showing at E3 this year. Those screenshots were prepared with this exact timing in mind, because now production is picking up steam. Q: Is this a real-time screenshot we’re looking at? The image quality is very good. A: Yes it’s an image in real-time using the real hardware.We aim to improve the quality you’re seeing now even further. As of now we can’t share more details in full scale right now, so we removed the menus and subscreens where it shows Noctis expression (image projected on the subscreen). A: Yes, we removed them because we haven’t formally announced their weapons and clothes yet. A: It’s a Military Behemoth and he actually bears a huge sword in his back. As for this pictures, the battle menus were on screen but we omitted it. A: Yes, it’s our model for this, even the bicycle lanes and crosswalks are depicted. But the sense of distance has been changed a bit since the last time. Right out of the city you encounter the wilderness with electric wires every as it’s this kind of territory for this country. A: The signboard is still temporary even though the inside of the gas station is modeled after the stations in the US in detail. It’s possible to go up there using the stairs. A: Yes. The camera basically sits in this position. We decided to prioritize the character’s presence and the world; that said we decided to scrap the over the shoulder perspective of the world.